PoPville » From the Forum – No water! Landlord’s responsibilites? From the Forum – No water! Landlord’s responsibilites? “Presumably like many other unfortunate DC residents our pipes froze and our entire house has been without water since Wednesday. The management company is sticking to the line that there is nothing they can do until the weather warms up – which it ain’t looking like it will for the next few days. I’ve seen similar posts related to frozen pipe issue but, different from those, our landlord has made minimal, if any, attempt to resolve the situation. They have not sent over a plumber despite our numerous requests. A rep from the management company came over to check things out -but he’s not a plumber. Below are excerpts from the notice they sent to tenants. What, if anything, is the landlord liable for considering the lack of concrete action on their part? Is it reasonable to ask for pro-rated rent for the days the house is uninhabitable? Appreciate any advice. Thanks. “As you know, DC is experiencing one of the coldest winters on record. Unfortunately, our Washington, DC housing stock was built for milder weather and isn’t always able to accommodate sustained extreme temperatures. This can challenge some heating and plumbing systems and we can’t always anticipate where the problems will emerge. “Freezing pipes are something a number of us are experiencing (including many of the folks on our team). Unfortunately, there isn’t anything that can be done to unfreeze pipes until the weather warms up. We know this isn’t news people want to hear, but patience is the only tool we have. 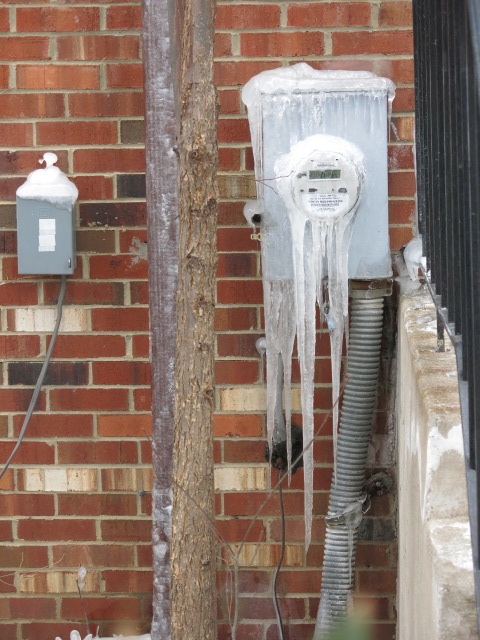 We’re eager to know if this is something that has happened in your unit so we can offer guidance to prevent damages from a burst pipe once they begin to thaw. Keeping faucets at least partially open and heat on in the house is important as they begin to warm up. Keep cabinet doors under sinks open as well.